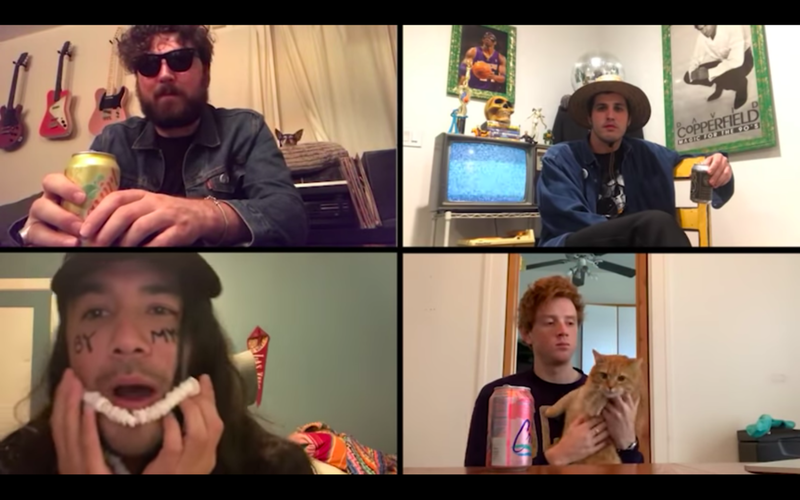 With FIDLAR’s new album only a couple weeks away, the boys are back and cracking one open by themselves… with a little help from some friends. FIDLAR released their new single “By Myself” along with a new music video today. FIDLAR’s idea for the video came about when Zac was writing “By Myself.” Zac spoke about the track saying, "Thus song was written in Hawaii. I called up all my homies to have a drink with me and no one showed up. What a bunch of kooks." In their new video, the band calls on some of their friends to have a drink with them. In the video, you’ll see appearances from The Side Eyes, NOBRO, Cadien (Twin Peaks), Taran Killam and more. Check out the new video and stream/download the new track below! FIDLAR’s new album Almost Free is available everywhere on January 25th. Pre-Order the new album below!